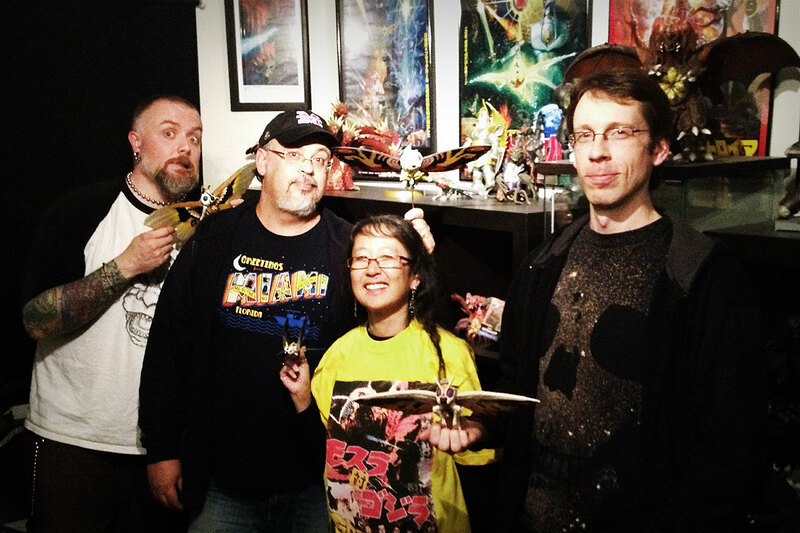 For this episode, Kyle is joined by Jeff, Cindy and Adam from the Monster Project to discuss the 1996 Rebirth of Mothra. Greetings, visitors, listeners and Godzilla fans everywhere. You have come across episode 58 of the Kaijucast and if you are up for something amazing, please keep reading. This month our Daikaiju Discussion focuses on a film that I thought I would never watch again (before I started the podcast of coure). But I must say that I was pleasantly surprised at how well this film held up. But what I was most suprised with in this episode was the tangental conversation had between myself, Cindy, Jeff and someone who is making it to his very first Daikaiju Discussion, Adam Alexander of the Monster Project! It was a real treat to have all of these fine folks in the HQ and I hope you enjoy listening to it as well. It makes me yearn for more roundtable discussions. Because our discussion went on for so long, we really didn’t have much time for music or news (good thing there wasn’t much). But we did have another couple of guests in to talk about some local events here in town. Benja and Shads of the Alter Egos Society came by to talk about Wonder Northwest and their own event, the 5th Annual Hero/Villain Power Struggle Pub Crawl! 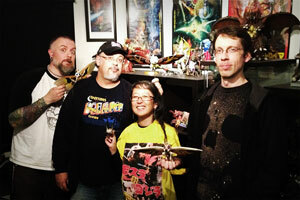 Plus, you can get a glimpse into their event that was held during the Geek Olympathon last weekend. Make sure to check out GeekPortland for all of your local Portland events! Rerun from last episode, but STILL RELEVANT, I tell you! Bay Area Film Event’s King Kong vs. Godzilla/Godzilla – Mothra – King Ghidorah: Giant Monsters All Out Attack double feature at the Historic Bal Theater in San Leandro, California (aka part of “the Bay area”). Special guests include Ed Godziszewski, Steve Ryfle, Cleve Hall, Creepy KOFY Movietime’s Balrok and I’ll be there to do some live podcast recording! Plus Kimono My House will be selling Godzilla stuff in the lobby and…well, you should get the idea. Get your tickets here! 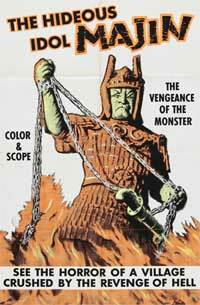 Our next film for the Daikaiju Discussions will be the original Daimajin (1966). June is a little tricky for me here at the Kaijucast because just a couple of days after I get back from San Francisco, I have to leave for a work trip during the time I normally do the discussion. Therefore, if you want to have your thoughts, questions and reviews of Daimajin for June’s Daikaiju Discussion, you will need to email me before June 20th! No exceptions, yknow… because of the kind of extreme time constraints. Thanks for listening and I really hope you enjoy this discussion!